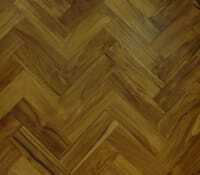 So you’ve decided to go for a wooden floor and you’re looking at exotic hardwoods. Well you’re already onto a winner because you’ve just chosen one of the best flooring options available. 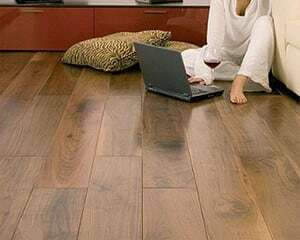 We’re guessing that you already know that one of the most appealing aspects of an engineered exotic wood floor is the fact that it is truly natural, unique and very hard wearing. You also probably know that there are more than 25 exotic wood species to choose from and that each has its own exceptional grain and colouring. But … with all this choice what is the best wood species to pick? Well it all comes down to where you’re going to install it and how you plan to match it the décor of your home. Quite often known as Brazilian Cherry, this rich red hardwood is grown in South American countries such as Peru, Mexico and Brazil. It is extremely hardwearing with a score of 2350 on the Janka scale. Once so expensive that few could afford it, Jatoba has been more extensively cultivated and is now a sensible and cost-effective option. Engineered Jatoba is ideal for high traffic areas such as hallways, lounges, kitchens and uncarpeted stairs. The natural reds add warmth to living areas, particularly where the décor is country, Georgian or makes use of natural stone. The grain of engineered Acacia flooring is a lovely blend of rich reds offset by lighter golden highlights reminiscent of a morning sunrise in Africa. It is not known for its uniformity – quite the opposite - and is often used to brighten and stimulate interest in an area. There is something exciting and inspiring about rooms that feature Acacia. 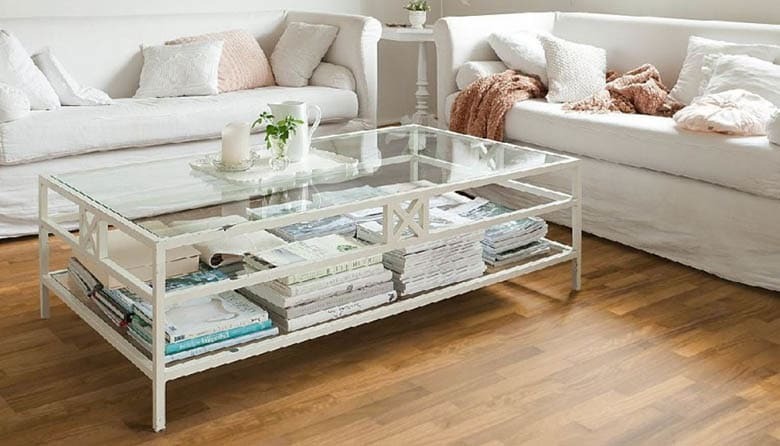 It is a wood that will look good in many rooms including halls, dining rooms, bedrooms, kitchens and even bathrooms although it’s important to remember that an Acacia wood floor is a feature, not a background. Kitchens, dining rooms and open lounges are particularly suited to this style of wood. When used in bedrooms it matches best with minimalist African or rustic British styling. It is possible to get matching Acacia bowls and furniture. Never overcrowd an Acacia floor with unnecessary furniture although plain autumn coloured rugs can complement the patterning. 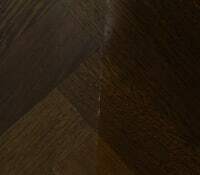 Just like the tiger, the grain of this wood has distinctive stripes of ochre browns together with streaks of dark brown or even black. This wonderful rich contrast adds vibrancy and excitement to a room and truly lives up to its reputation as a fascinating exotic Harwood. Tigerwood offers superb stiffness, strength, hardness, and durability. Engineered Tigerwood is often used when a statement is needed and is widely selected for living areas that are generally open plan and uncluttered. The hardness and weather resistance of the wood, which can also be used for exterior decking, makes it ideal for lounges that open up on outdoor areas and larger bathrooms that make use of whites and light greys. The wood is the feature and should not be overshadowed by large or brightly coloured furniture. With its fine grain and dark brown colour, Ipe has been a favourite across the country for many years and will continue to be popular well into the future. 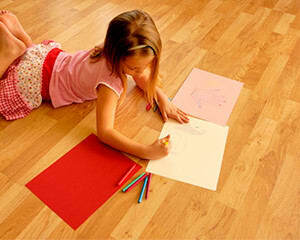 It’s one of the hardest and most durable floors so it is often seen as a long-term investment. It is particularly favoured in baroque and colonial style houses with pale cream and white walls to compensate for the dark enticing richness of the floor. In the UK it works well especially with Georgian townhouses, county villas and large Victorian manors. It was also popular in the larger ‘post art deco’ homes of the 1930’s and is making a strong return as people discover its timeless and tranquil qualities. This is one of the hardest species available for engineered hardwood flooring with a Janka Hardness Rating of 3540. 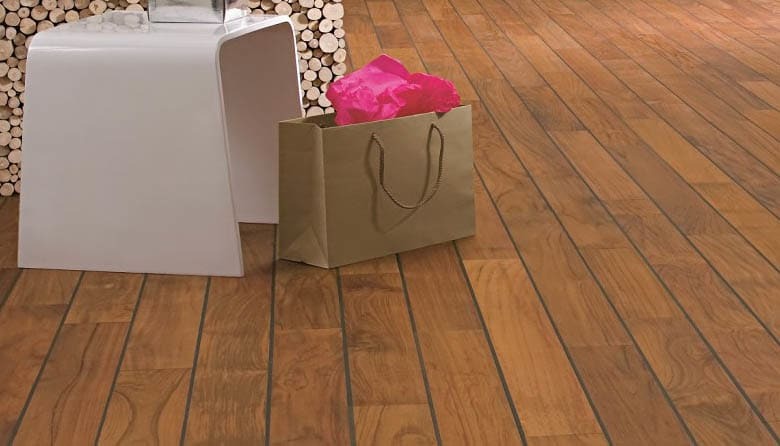 The colour of this flooring ranges from tan to medium brown with some reddish highlights. The wood has a waxy touch and a fine texture. 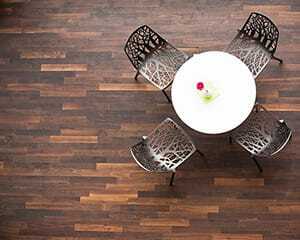 It is an extremely hard and resilient wood making it perfect for high traffic areas such as dining rooms, open living spaces and entrance foyers. In recent years it has found popularity for use in bedrooms and bathrooms due to the more uniform and warming appearance of the wood. Top Tip: Choose Contrast or ComplementaryWhen choosing a wooden floor and trying to decide which species to select, it is best to decide whether you want a contrasting or complimentary look. Rooms that use contrasting colours and shades will stand out and make a statement. Rooms that use complementary colours and shades lose their visually dynamic nature but are often more comforting and welcoming. As a rule; the access ways in a home, including halls, corridors, visitor restrooms and open plan kitchens should be contrasting. Living areas such as informal lounges, bedrooms, private bathrooms and studies should be complementary. 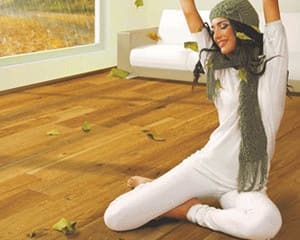 For a long time people believed that it wasn’t sensible to install underfloor heating with wooden floors – and they were right when it came to solid wood floors. Even after it has been felled, wood is a living material. The cells that make up the planks will react to their environment. 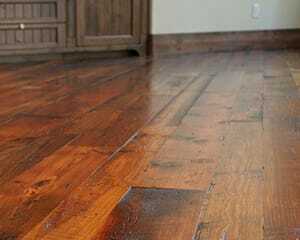 The two biggest factors that will impact wooden floors are moisture and heat. 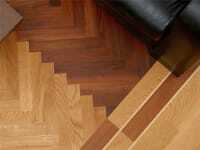 Both of these factors can cause solid wood to expand and contract resulting in bowing, warping, cracks and board gaps. As you can imagine, underfloor heating – with its changes in temperature can cause problems. Fortunately, there is now a solution: Exotic Engineered Wood. Not all engineered wood is created equal. A significant proportion of any engineered plank is solid wood and this retains all the pros and cons of the species from which it was made. 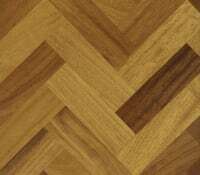 These include the colour, grain, resistance to moisture and hardness. 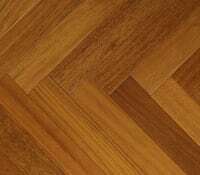 When it comes to floors, exotic hardwoods definitely have the edge. Exotic tree species are almost always hardwoods with very good scores on the Janka scale. The dense composition of the planks means that they will stay looking lovely even in high traffic areas such as kitchens and hallways. And, after many years of use they can be refinished to return them to their original condition unlike cheaper laminate flooring which has to be discarded. They also manage changes in temperature well. 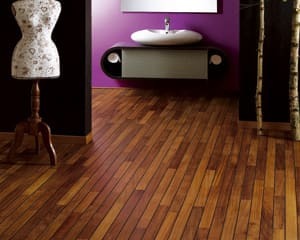 The grains, colours and patterns of exotic hardwoods are exceptional and have made them much in demand around the word. 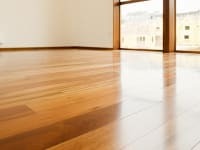 With names like Tigerwood, Brazilian Cherry and Purpleheart you can appreciate why they are loved by so many interior designers and discerning homeowners. Most exotic species are typically quite resistant to moisture due to their natural oils and the high density of the wood. It’s always best to keep untreated planks dry but pre-treated exotic woods can now be used in kitchens and bathrooms too. 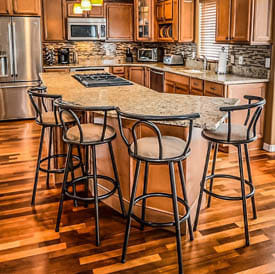 The density and cellular structure of exotic hardwoods mean that they are remarkably stable and resistant to physical changes brought about by heating and cooling. Unlike fast growing softwoods, they have had time to create a very solid structure that changes little over time. Having your UFH installed by professionals is the secret to having a floor and heating system that can last for decades. 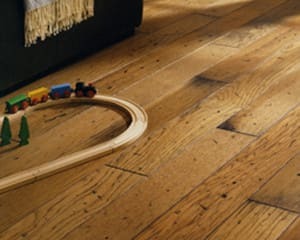 Experience matters with wooden floors and it is essential that heating elements and pipes are laid out in the correct way to avoid hotspots and ensure an even temperature across the floor.Choose engineered wood. This wonderful material is stable, affordable, looks beautiful and allows for effective heat transmission. 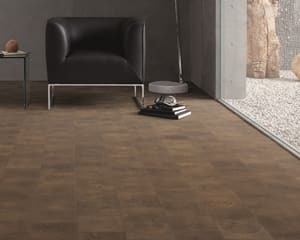 Remember, you’re heating your home not just your floor and what’s underneath it.If you would like to talk about a new engineered exotic wood floor with UF heating please contact our specialists. Call us today for samples of our hardwood flooring selection on Tel: 0845 293 9374.